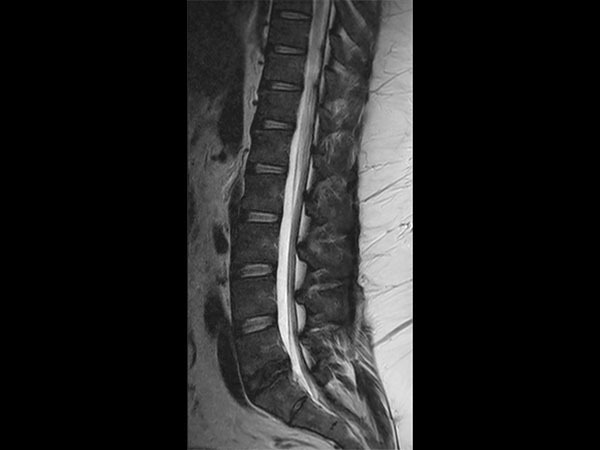 32- year old male patient, 180 kg, with back pain. 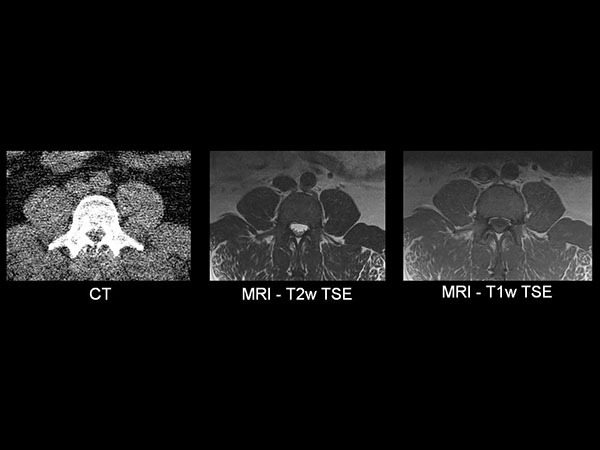 Was first examined on CT but quality was not sufficient for diagnosis. 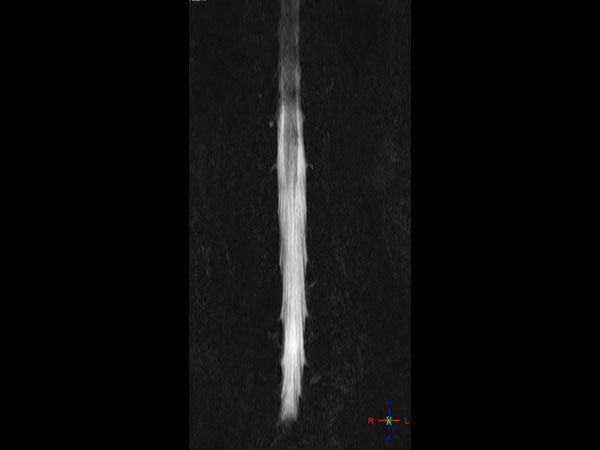 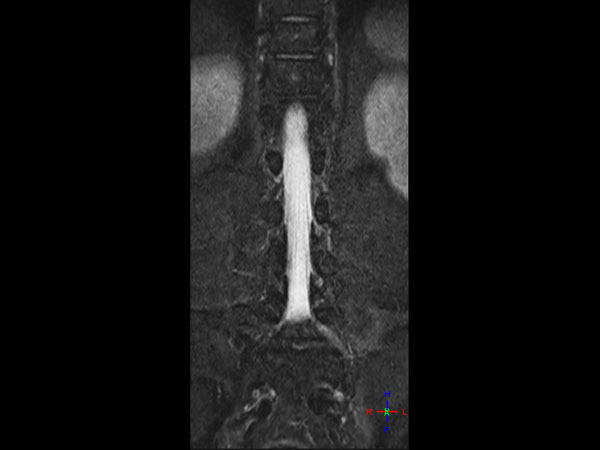 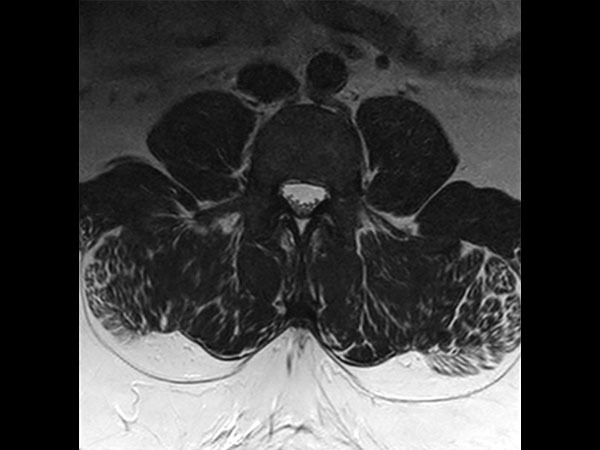 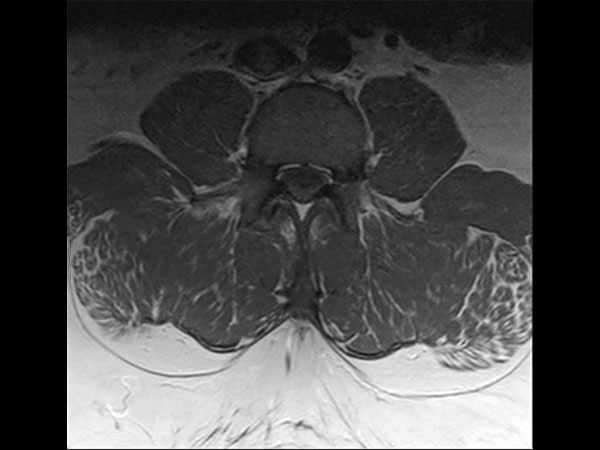 MRI gave excellent images. 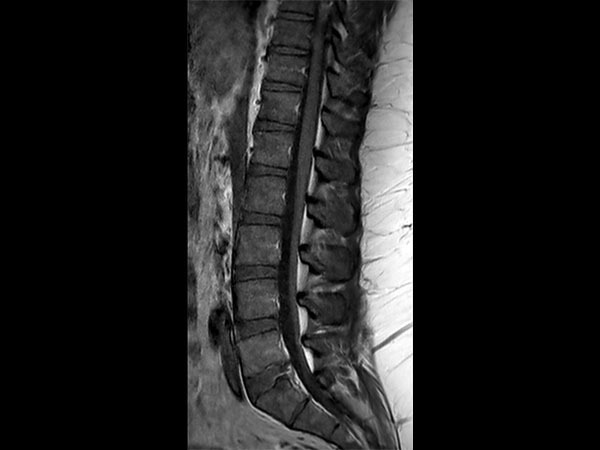 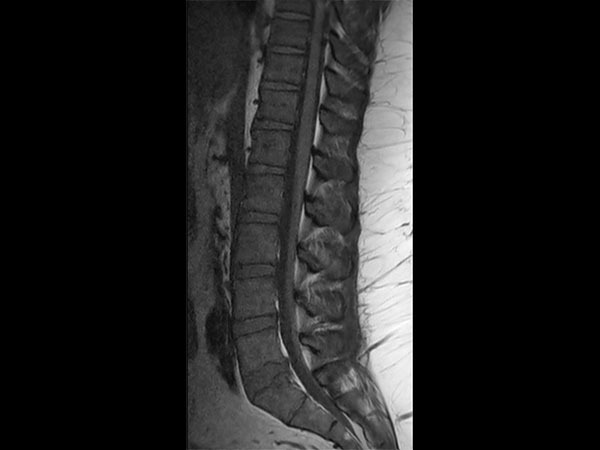 Diagnosis: small protrusion of the disc L5/S1, no meningioma.